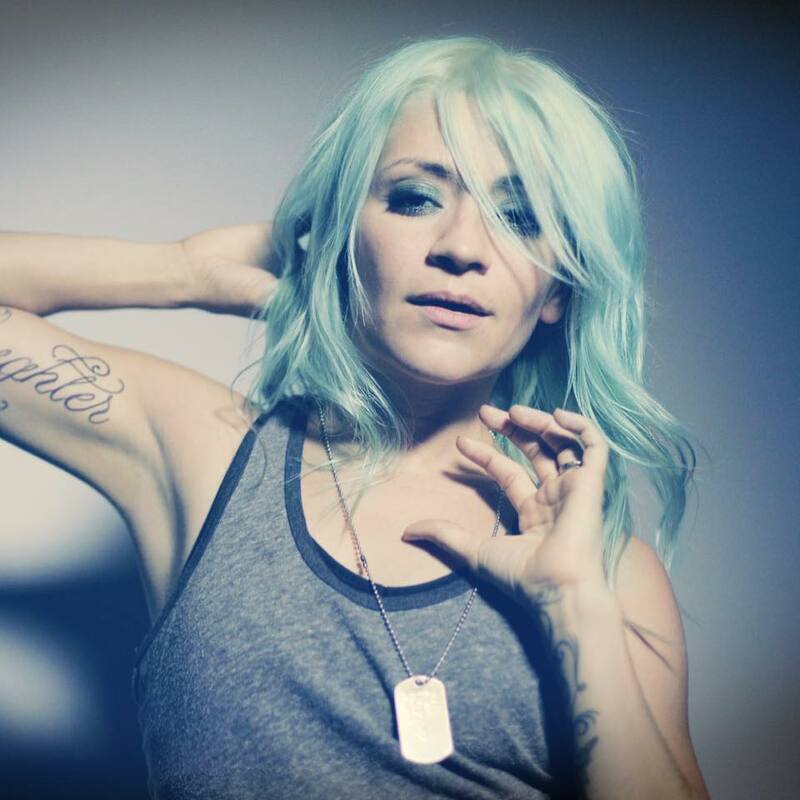 Lacey Sturm [ex-Flyleaf] « Girls, Guns & Zombies! Lacey Sturm (née Mosley) is an American alternative rock singer/songwriter from Arlington, Texas. Sturm is best known as co-founder and former lead vocalist of alternative rock band Flyleaf. She released her solo debut album Life Screams on February 12, 2016. Recommended for fans of Flyleaf, Halestorm, Evanescence, UnSaid Fate, Daughtry, etc. “Born Again” and “Run To You” (2008) – Third Day (feat. Lacey of Flyleaf). From the Christian rock band’s 9th album Revelation. “Courage” (2010) – Orianthi (feat. Lacey of Flyleaf). From the singer/guitarist’s re-released 2nd album Believe (II). “Broken Pieces” (2010) – Apocalyptica (feat. Lacey of Flyleaf). From the Finnish symphonic metal band’s 7th album 7th Symphony. “Heavy Prey” (2012) – Lacey of Flyleaf feat. Geno Lenardo. From the soundtrack to the film Underworld: Awakening. “Take the Bullets Away” (2013) – We as Human (feat. 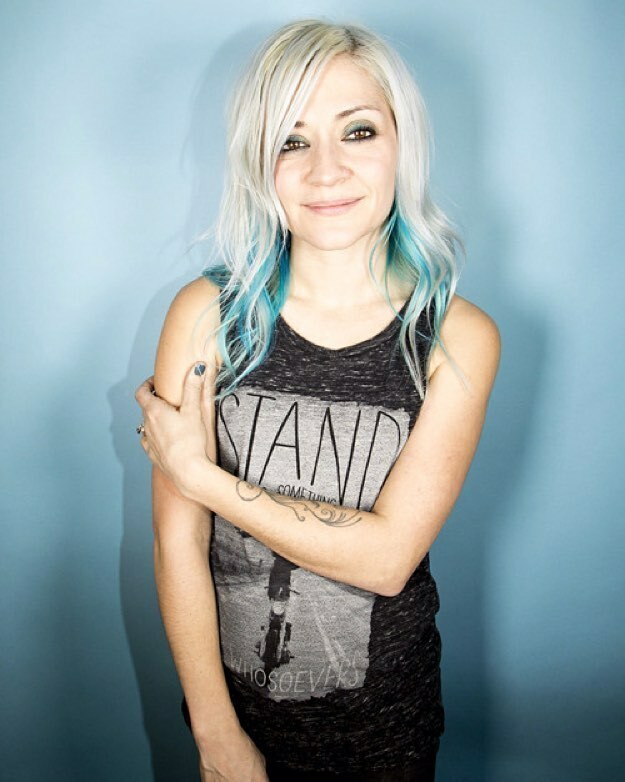 Lacey Sturm). From the Christian alternative metal band’s 2nd album We as Human. “Mercy Tree” and “The Reason” (2013) – Lacey Sturm. From the video The Cross (featuring Billy Graham) and accompanying album My Hope produced by the Billy Graham Evangelistic Association. 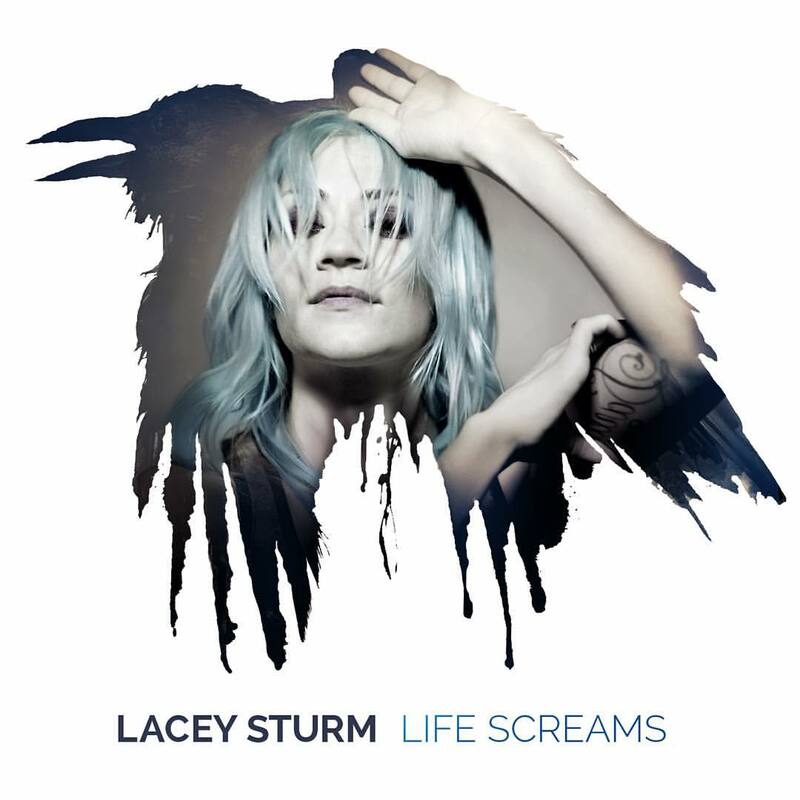 Life Screams (2016) – Lacey Sturm. Solo debut. Followspot records. 11 tracks. First single: “Impossible”. Choice cuts: “You’re Not Alone”, “Feels Like Forever”, “I’m Not Laughing”, “Life Screams”. Other good cuts: “Faith”, “Run to You”, “Vanity”/“Rot”, “The Soldier”. The rest: “Roxanne (Live)”. Lacey Sturm is a Christian. Her faith influenced the music of Flyleaf and continues to influence her solo work. In 2014, Sturm published an autobiographical book called The Reason: How I Discovered a Life Worth Living about her struggles in life and her faith. Lacey Sturm married guitarist Joshua Sturm in 2008. My thoughts… I like Flyleaf – with Lacey Sturm (2002-12) and with Kristen May (2012-present) – but I haven’t yet had that aural epiphany I’ve had recently with Paramore and Tonight Alive. I’m sure I will eventually. However, a future epiphany is not necessary with Lacey Sturm‘s solo work because I’m having it right now with her solo debut! Life Screams is my favorite alternative rock album of the year (this week)! On Life Screams, the introspective singer delivers her messages of hope and desperation via darker melodies and harder-edged guitar riffs than with her former band! “Impossible” is a good choice for a single but “You’re Not Alone” or “Feels Like Forever” would’ve been my choice. Both are perfect alt-rock anthems! Oh, “I’m Not Laughing” is an awesome hard rocker, while “Life Screams” is an amazing power ballad! The only wasted track is “Roxanne (Live)”. It’s an excellent cover, sure, but the album could’ve been closer to perfect with another original studio track. “Roxanne (Live)” is more of a B-side or bonus track. Anyway, Life Screams proves once and for all that Lacey Sturm is not a Christian rocker but rocker who happens to be Christian. Now, I must go and listen to Flyleaf and hope for that epiphany! Finding Kate « Girls, Guns & Zombies! LEAV/E/ARTH « Girls, Guns & Zombies!